Garage doors have a nasty tendency to break at the absolute worst times. If you are rushing out of the house, this is the exact sort of time that something can go wrong. You could back into the door, it could come off the track, cables could snap or parts could break down while being used. This could leave you standing in your driveway, wondering how to fix your problem, while you should be well on your way to that important meeting it seems you’re star crossed to miss. 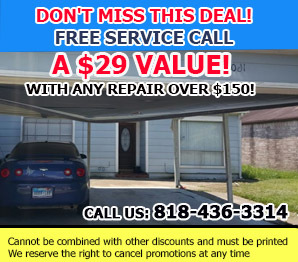 There’s no need to worry however, Garage Door Repair Agoura Hills are on the case. We will be there to handle your emergency, no matter what it is, so that you don’t have to waste time trying to do it yourself. A door that has come off of the garage track can lead to a very serious security breach in your home. Chances are that you won’t feel comfortable leaving for work with your house blown wide open for strangers to come in. While getting things sorted should be your highest priority during an emergency, you most likely can’t leave the problem to worsen while you take care of your own business. Damages often lead to more damages. Faulty door bearings will only get worse over time. If you know that your door parts are due some problems in time, ignoring them can lead to an emergency. Let us come and maintain them for you to ensure the continuation of a hassle free life, without unforeseen emergencies. Has your garage door cable broken, snapped, or come off the drum? Depending on the nature of the problem, this could lead to, or possibly already is an emergency. Instead of wasting your day shopping for the parts you need and attempting to fit them yourself, give us a call and we’ll get it sorted long before it becomes a serious problem for you. Minor accidents and wear and tear can lead to poorly a functioning garage track. Does your door slip off too easily every time you try and open it? This is obviously not what it’s meant to do. Remember if it’s easy for you to manually take the door off the track and open it, it’s easy for threats to your family’s security to do the same. 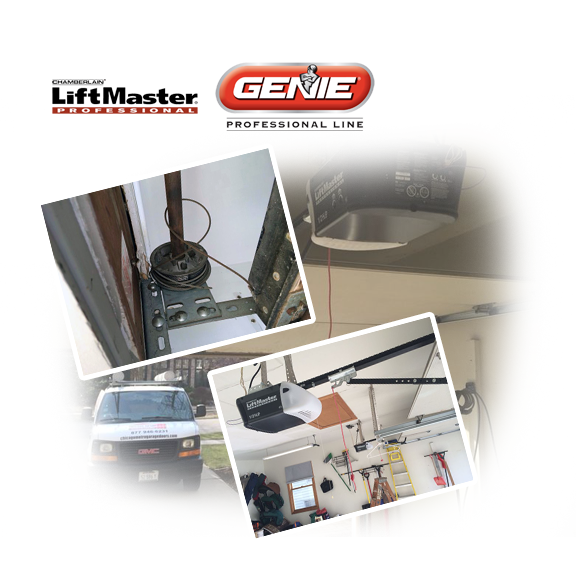 Garage Door Repair Agoura Hills will come in and make sure that the security of your home is seen to by getting your garage working the way it is supposed to. So if you’re in desperate need of garage door repair before setting off to get that day, don’t let the stress of the situation take over. Give our company a call or take a look at our website and we will get it sorted, hassle free.